What a Best Video Editing Monitor Should Have? Here looking for the best video editing monitor for your studio? Let us a talk about these monitors a bit first. One that thing video editors appreciate is the horizontal width of the workspace. This is obvious because video editing professionals work on timelines. These timelines become so big most of the times that horizontal space on a conventional FHD monitor is just not enough. Video editing professionals previously got around this problem by setting up a multiple monitor display. This, in all honesty, is not an entirely bad idea. If you hook up two or three monitors together, you can really set yourself up a nice horizontal view. However, there is a new solution for you now: Ultrawide Widescreen Monitors. These monitors have an aspect ratio of 21:9 meaning they are much wider than the conventional 16:9 aspect ratio monitor. They grant you a much longer horizontal width on which you can work. Most of these monitor are already professional grade and include features like 100% sRGB color gamut coverage, screen split etc. The best thing about these monitors is that you get a one large continuous screen that looks not only stunning but is also very easy to work. If you decide to hook up multiple of these screens, then you can imagine the view, but even a single one of these monitors can replace a multi monitor display setup of 24 inch monitors. They are a bit expensive; however, if you compare them with dual or triple monitor setups, then you will find them to be much cheaper in comparison. The thing is, for video editing, a good monitor is a requirement. It is basically a tool of your trade. If you invest in good tools today, you can reap there benefits in the future. Let us have a look at some of the best video editing monitor 2017 has to offer. The thing about Ultrawide monitors is that they offer a 21:9 aspect ratio. On a normal 29 inch widescreen monitor you can fit 3 windows side by side. However, most of these monitors especially the new 34 inch monitors come with WQHD, and even 4K resolution giving you a hell a lot of real estate to work on. Not only are these monitor stunning to look at, they combine some of the best hardware technology there is. You will find many such monitors these days offering curved displays. This is appropriate for a widescreen monitor. It is as if someone has heard the plea of the video editors. Ultrawide monitors are like the missing puzzle piece of video editors and composers. These monitors not only give you a lot of workspace for your project, it can give you an extended view of your timeline so you don’t have to scroll back and forth to find the right frame. Ultrawide monitors are predominately available in two screen sizes currently: 29 inch ad 34 inch. 29 inch ultrawide monitor were released a few years back but did not quite stir the market. They have the same resolution as 30 inch monitors and almost the same price point. So people preferred rather going for 30 inch 16:9 monitors. With the 34 inch monitors, the game has finally changed. These inspiring and gorgeous monitors have finally made quite the movement in the market. Currently they are quite expensive but we can expect that to change in the near future. Almost all of ultrawide monitors offer excellent visual details and have amazing specs. Although both 29 inch and 34 inch ultrawide monitors are suited for video editing and composing work, if your budget allows, we would suggest you choose 34 inch monitors. Here are some of the best video editing monitor 2017 that have ultrawide screen. With exquisite features such as FreeSync, that reduces the display stuttering and tearing, this 29 inch monitor is just what you need. This is true especially if you are an editor and also a gamer. It can display 99 percent of sRGB and has an 8 bit color support. 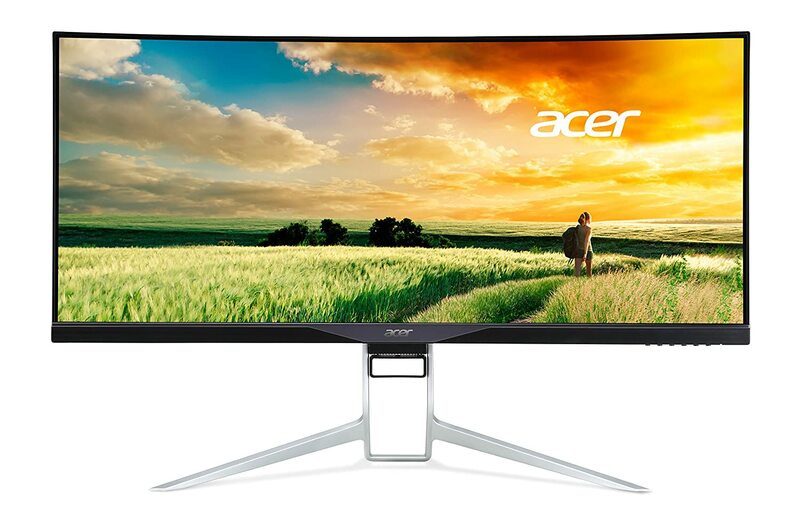 With a 21:9 aspect ratio, this video editing monitor has a 2560 x 1080 screen resolution. It has a feature of split screen that lets the video editors see multiple videos at a time. With a fast response time as 5 ms, it provides the video editor with a smooth viewing of moving objects. As you can see, this monitor is not only suitable for professionals but also for gamers. It is equipped with two HDMI inputs, along with one DisplayPort and a DVI-D input. 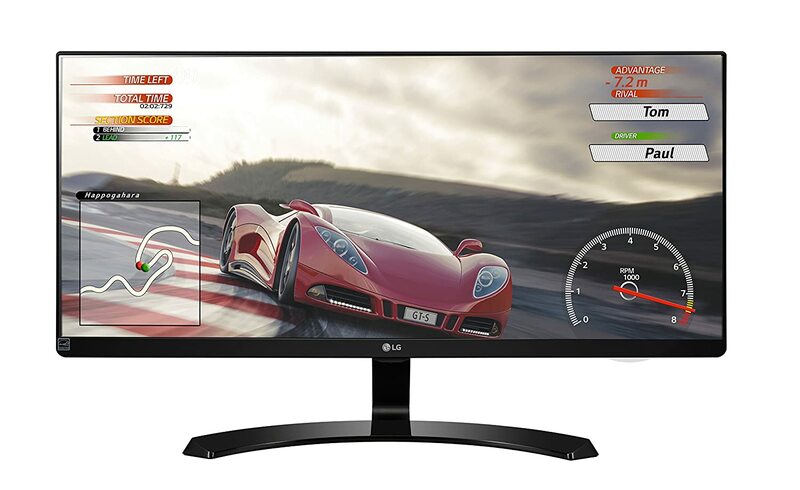 Featured with a black stabilizer, the LG Electronics UM67 29UM67 monitor has a capability of adjusting the brightness of the screen in low light. This is an expensive IPS monitor but has all the best set of features that a professional would need. For starters, it is curved. The curve screen not only looks beautiful, it gives you a comfortable viewing experience. This monitor has WQHD resolution and a lot of connectivity options to keep you satisfied. With a 3 year warranty, this monitor has one of the best support. This is a rather new 34 inch ultrawide monitor with an IPS panel and Ultra WQHD resolution. It does not have a curved screen like the new ones out there, but it is at least a couple of $100 less than the curved ones. For a very affordable price tag, this monitor is loaded with features. It has FreeSync and a fast response time that is ideal for gaming. 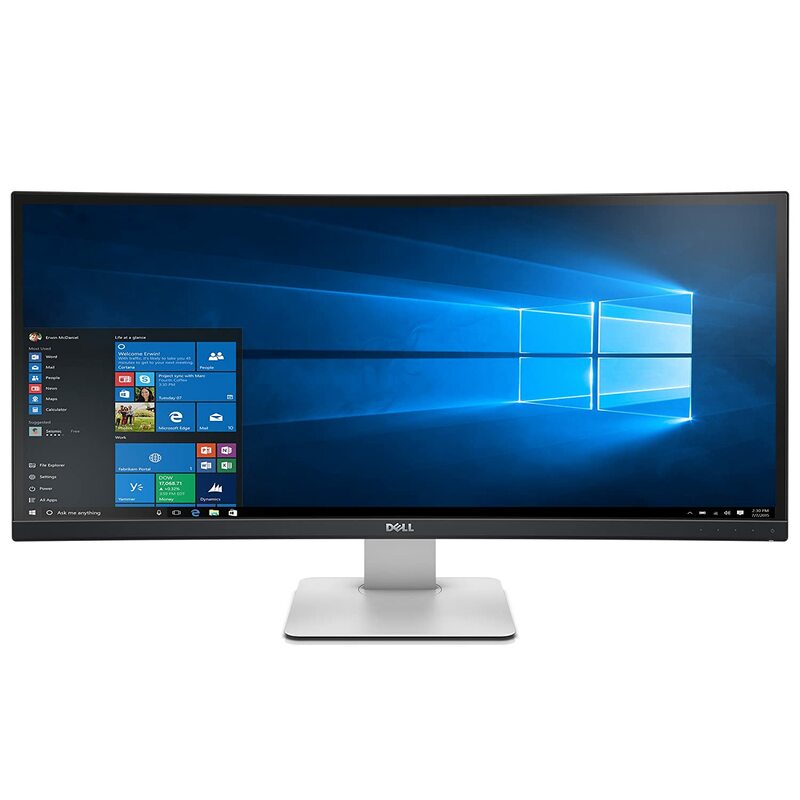 This monitor has 100% sRGB coverage that is ideal for viewing perfect colors and it has the rare thunderbolt connectivity. Some system like the Mac Mini can be only be connected via Thunderbolt connection. Another high end curved Ultra WQHD monitor with an IPS display panel. This monitor is a beauty to behold. It has several features and functions to make your work productive such as picture in picture and USB hub for ease of interfacing. This monitor is excellent for both work as well as for games. It is designed to carry out gaming with its great response time and an amazing color reproduction. Here is a typical ultrawide monitor seen in use for video editing. 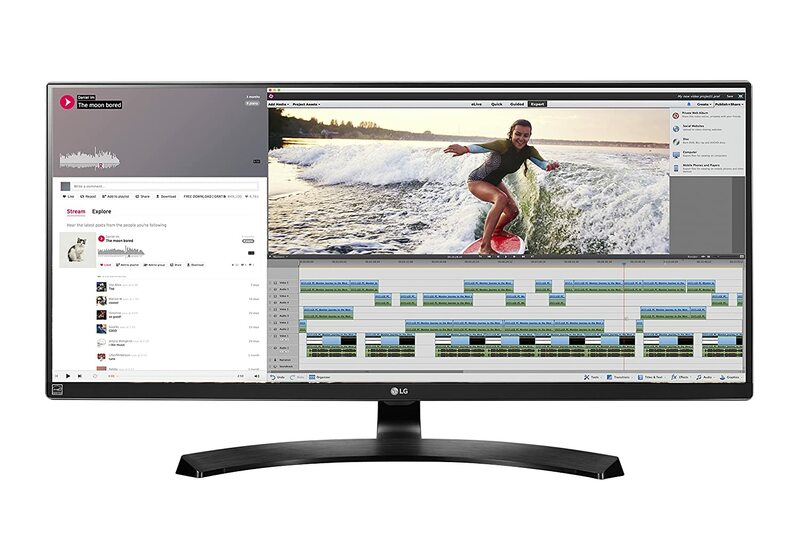 The monitor seen in this video is the LG 34UC98-W. It is a curved monitor display with a premium price tag. Some people still find the ultrawide monitors to be non conventional. They still prefer the old school and friendly 16:9 aspect ratio 24 and 27 inch monitors. Here are some the best video editing monitor in that category. You shouldn’t be surprised to see this monitor in this list. This monitor is regarded as a default options for professionals to go for. It has a screen resolution of 2560 x 1440. Featured with IPS pane, the Asus PB278Q monitor has a 100 percent sRGB color reproduction. With a pivot adjustable screen, this monitor facilitates great experience to video editors. This is a fairly affordable semi-professional monitor. It has a decent 24 inch screen with FHD+ resolution meaning it has an aspect ratio of 16:10 instead of the usual 16:9. This grants you a bit more real estate to work on as compared to FHD. This monitor offers 99% coverage of sRGB color gamut, has fully adjustable stand, a good response time and a pretty decent set of connectivity options. It has multiple connectivity options such as two HDMI ports and one mini DisplayPort. It is also facilitated with one audio line out. The drawback of this monitor is that it doesn’t come with a DVI output. 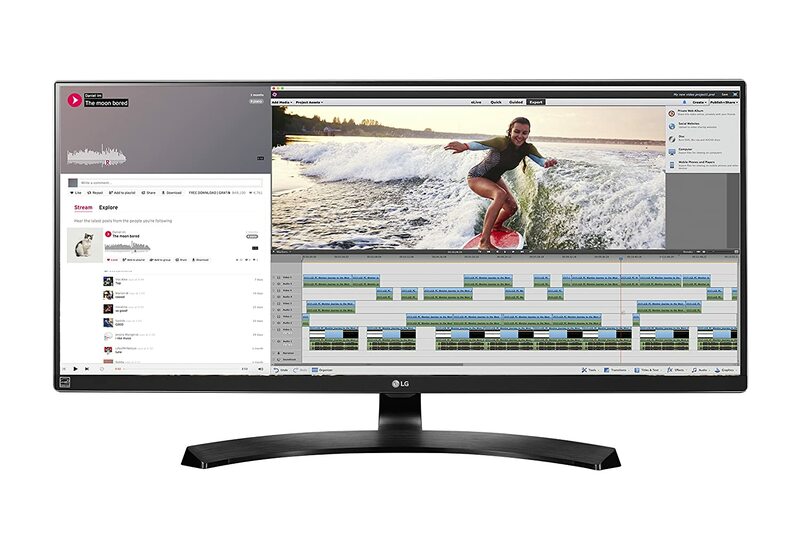 Weighing 22 pounds and being 9 inches thick, the 24 inch monitor is all a video editor would demand in a monitor. It has a 1920 x 1200 screen resolution, featuring an A+IPS panel. With a 16:10 aspect ratio, this monitor gives you a decent real estate to work on. It comes factory calibrated for ease of use. This monitor features four USB 3.0, two HDMI, a DVI and VGA ports. With a 6 ms response time, you should be able to enjoy fast movements without ghosting effect. It has a capability of reproducing 100 percent of sRGB, which is a must requirement for all professionals. If you are a user looking for a monitor under a price range of $300, this monitor is a complete package of professional qualities. This monitor is the epitome of professionalism. It is not a cheap monitor just to let you know. It not only covers 100% of sRGB color gamut, but also 99% of Adobe RGB color gamut. A true professional would know the worth of this. This high accuracy of color is facilitated by 14 bit LUT, which is one of the rare features on monitors. Furthermore, this monitor has other exquisite features such as shading hood, and thunderbolt along with other connectivity options. 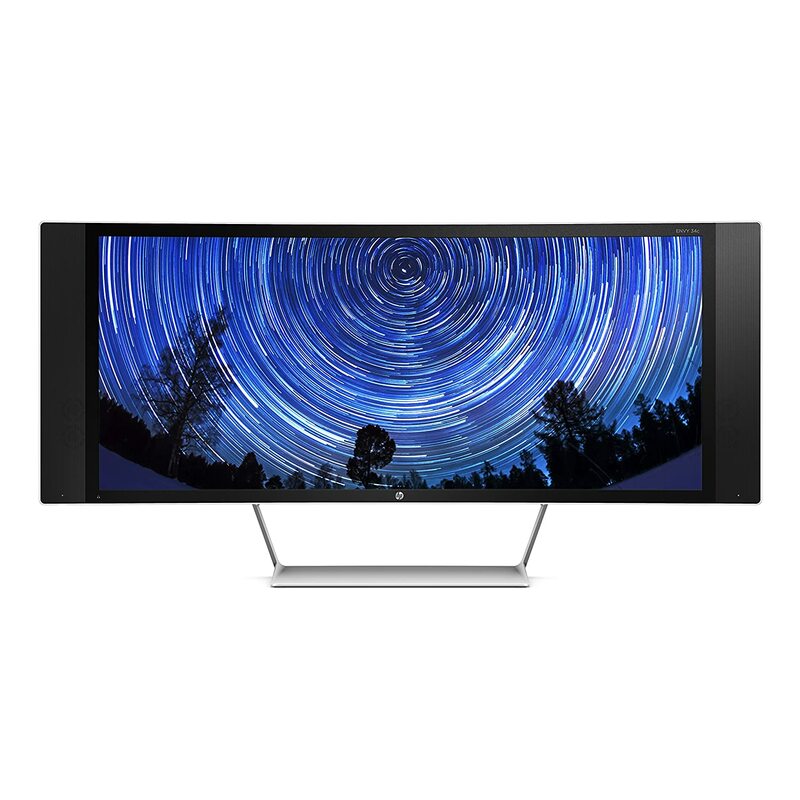 If you have the money and if you truly have the keenest sense for color, this is the monitor to go for. IPS panel caters superior color accuracy with viewing angles giving the user immaculate results. It provides a wide range of 16.7 to 1.7 billion colors. This In-Plane Switching panel is enfolded with 8 or moreover 10 bits and allows the video editor to achieve the perfect work. TN panel compared to an IPS panel offers inferior color accuracy. Any video editor would not want to face effects like blurring, so a suitable pixel response time for video editing would be 7 ms. A pixel response time is stated as the measure of time any monitor takes to transform the pixels from active black to inactive white and then back from inactive white to active black. In order to have a fast moving process, the pixel response time should be low to get accurate results. If you do not want to compromise on color efficiency of your video, then wide color gamut should be your choice. 100 percent coverage of sRGB is a must, whereas 99 percent coeverage of Adobe RGB is a luxury. Although wide color gamut is expensive, it delivers exceptional quality display. Now that you have a deep knowledge about what features a good video editing monitor should hold, you should now be thinking of buying one. Out of all the monitors in the market, one should really pick out a monitor that delivers the desired result. Video editing monitors are simply any professional monitor that has a good color accuracy and a lot of pixels to work on. There are basically two types of monitors in this category: ultrawide and non ultrawide. 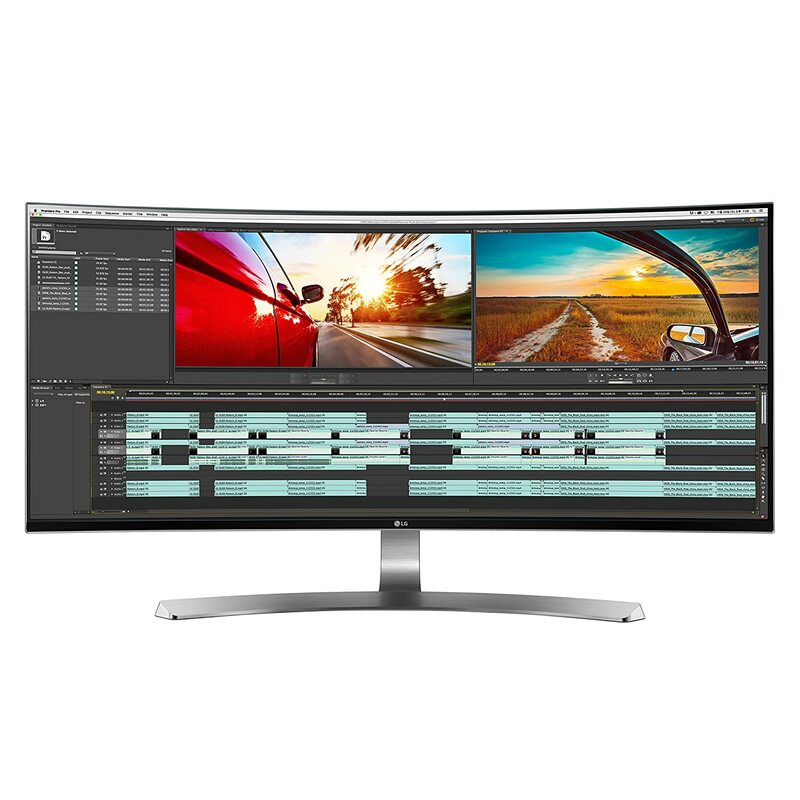 Ultrawide monitors are increasingly becoming popular among video editors for the simple fact that it gives an elongated view of the timeline and the workspace.